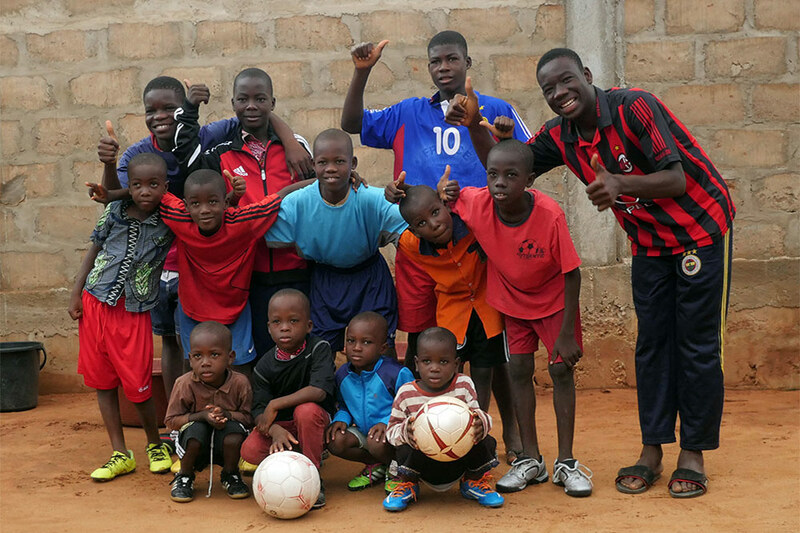 Togo II Project "Football Boots for the Barefooted"
We are delighted to be able to report that our next project has been brought to a successful conclusion! 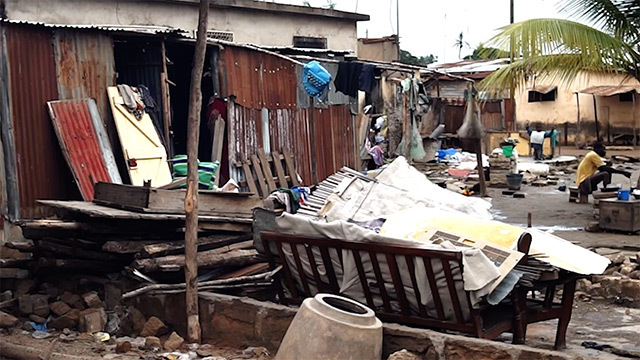 At the beginning of April 2018, Marc, Max and Patrick left Seelevel for Togo, to take all the donations from the previous few months to their intended destination. This time the German television channel SWR came too. Journalist and camerawoman Rebekka Plies was with us all the time for a full four days. We packed donations weighing 200 kgs into a van and drove to Paris, for a direct flight to Lomé. We were taking more than 50 pairs of football boots, many more than 100 shirts, whole sets of team shirts, tracksuits, lots of footballs, goalkeepers’ gloves and other equipment. Fully laden and at the upper limit of our extra baggage allowance, luckily it was lucky that we got to the airport very early… because of the general strike in France our flight had simply been cancelled without our having been told. It transpired that a replacement flight would be leaving, but two hours earlier than scheduled! Which meant that we had only 35 minutes to board, with eight enormous bags and a long queue ahead of us. It was a stressful few minutes but at last we got through the check-in queue, which hardly seemed to be moving at all (the system was down, we were told), and by really sprinting just made it on to the plane. And the next few days turned out to be pretty much as hectic! The most important thing, though, is that everything that was donated got to where it was meant to go to! We went to various different sports grounds that with Blaise’s help had been carefully selected in advance. One of these visits was to a Christian football team, which had been brought together at a school and leisure facility. We were even more excited by our visit to the junior teams from deprived areas, and being able to equip the mini-players at the orphanage. The children there were extremely interested and happy to see us! And the donations we took to a small sandy area or “square” in the middle of Katanga Slum showed us clearly how important such things are for the people who live in these slum areas. Football is much more than just sport here. It allows the kids and young people a few hours “escape” from their daily lives. This patch of sand is where they meet to socialise, see friends, dream a little! So once again our heartfelt thanks to all the donors, association clubs, schools and kindergartens who have placed their trust in us and thereby made this project possible. 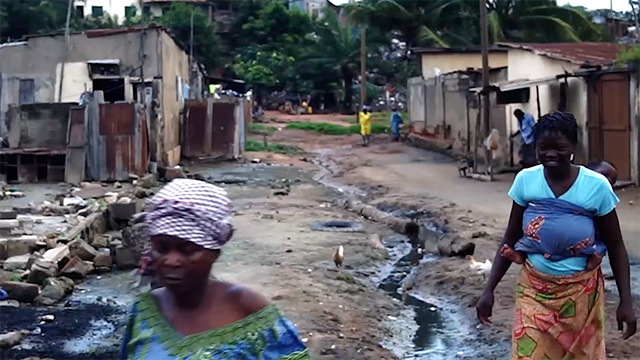 The SWR is going to broadcast various different pieces about our work in Togo. They are sure to include footage from the “Football Boots for the Barefooted” project. You will find more information in our News section, or do write to us. We will also be putting a short documentary up on our video channel in the near future. Footballers from an orphanage (left), and another football team from the slum (right). The same is true of this project as of the “Skateboard-baller” Togo I project. Our friend Blaise came to spend a year in Germany on an NGO Exchange Project, and while he was here played in the same football club as Marc, the DJK-Ost Karlsruhe. They became good friends and they told each other a lot about the differences in football in the two countries. Blaise supports football groups in his country. 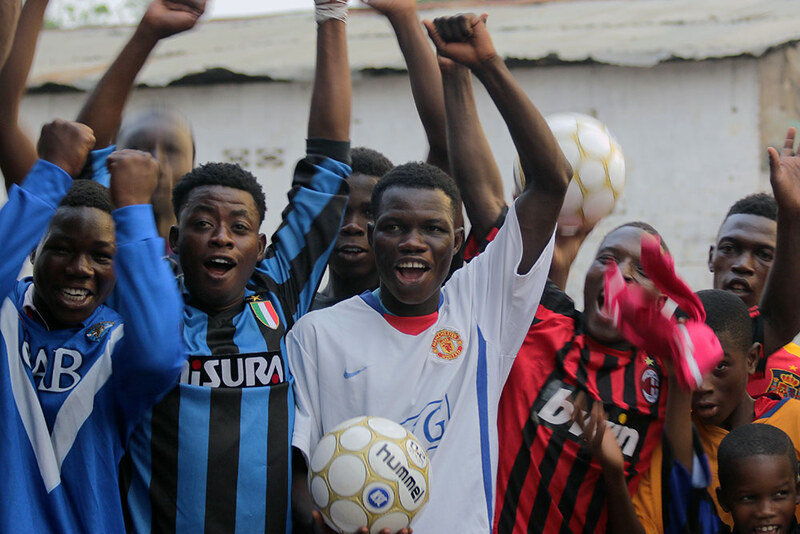 The young people there don’t have access to football kit such as boots, shirts, shorts, socks and balls, but now you can help them! Short and sweet: to get proper football boots on to all the barefooted! Goal nets, real footballs, and real football shirts and shorts! Do you want to help but don’t have any equipment to give? As ever we need money to fund the logistics! We are very grateful for financial support.